About Town Bartending is Southern California's most affordable bartending service. We are a full-service beverage catering company licensed by the ABC, and based on mobility while focusing on product quality, experienced staff, and a commitment to providing the highest standards in customer service. "We bring the party to you". Whether you have a party for 50 or 5,000 guests, we can accommodate any event venue or location for your corporate environment, estate or home, the beach or any outdoor venue. To maximize the investment on your next event, let About Town Bartending build a unique beverage package to fit all your needs. 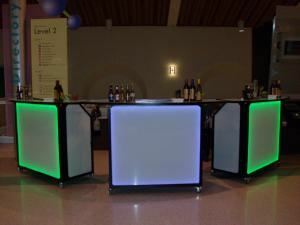 We offer hosted and non-hosted packages and if desired, can decorate our bars to fit your next themed event.